Arguably the biggest rival to the Apple iPad in the tablet PC market so far has been the Asus Transformer range of devices, and today we have news of the Asus Transformer Pad TF300 price and the anger with the dock and its backward compatibility. Asus have been busy in the last few months after revealing a new model for the Transformer range back in February at the Mobile World Congress, but as Android Central are reporting at the time the company didn’t reveal any pricing for the device. The device is now available to consumers in the US for online sales, and will be available in retail stores in a week’s time on the 30th, while UK consumers have to wait until next month to get their hands on the Transformer Pad TF300. US consumers can get the device in Royal Blue now with other colours such as Torch Red and Iceberg White coming in June and the 16GB model starts at $379 or $399 will get you the 32GB version. The optional docking station will sell for $149, but it’s this that has caused some anger among fans of the Transformer range, as if you are an owner of the Transformer TF101 or the Transformer Prime TF201 the docking station is not backwards compatible. Many potential customers could be put off by this news that could hit sales of the new tablet PC, which will come with Android Ice Cream Sandwich straight out of the box. For your money you also get the NVIDIA Tegra 3 quad-core processor powering a 10.1-inch display, and while it’s only a minor upgrade to the Transformer Prime, the 32GB version is $100 less than the comparable new iPad. UK consumers can get the device early next month with prices starting at Â£399 for the 16GB version, and like in the US the Royal Blue colour will be the only choice at first with Iceberg White coming in June, and Torch Red arriving in July. 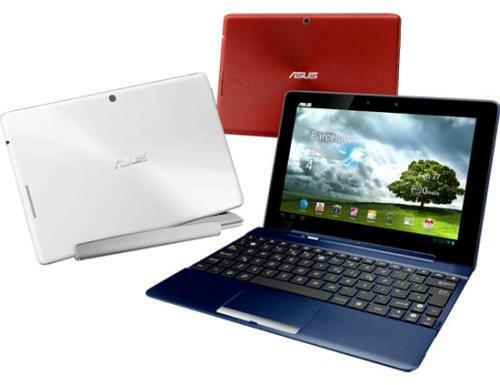 Does the lack of backwards compatibility with the dock put you off the Asus Transformer Pad TF300? That it comes with the different keyboard dock isn’t too relavent for UK customers, because in the UK the only configuration being sold is the bundle with the dock (i.e. no tablet only option). Based on pricing of the the original transformer you’re also only paying a 50 pound premium. While it would have been nice to have compatible docks, that you’re effectively getting a new battery that would sometime have needed replacing in the previous generation keyboard dock (- a tricky process given it’s a sealed unit) is a bonus. An incompatible dock is a non-issue for new customers who don’t already have an older Transformer and Prime owners are hardly likely to downgrade so why say there is “anger” about this? What rubbish article, only to generate leads to your site, there is no Anger, you cant fault Acer for designing good products. They really have done well with there range of Transformers and who cares if the keyboard dock does not fit the older models as the price is not an issue.